Photo of Albert Kahn (front left sitting on the table) in his firm Nettleton, Kahn & Trowbridge. 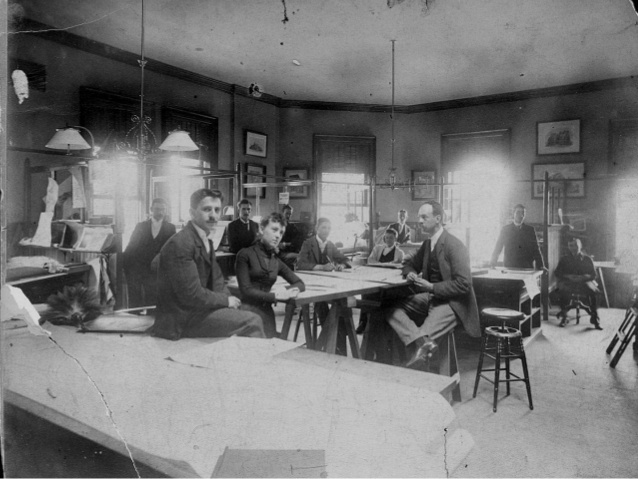 Photo probably taken 1896, one year after founding the company with his partners. Photographer unknown, copyright expired.